August 12, 2015, Fremont, CA – Innodisk, the service-driven flash and DRAM provider, announces higher capacity 16GB versions of its DDR4 embedded and server unbuffered DRAM series. These 2133MHz UDIMMs and SODIMMS now come in industry-leading 16GB capacities, allowing more memory to be installed within space constrained embedded systems, industrial PCs and servers. Offering higher performance with lower power consumption compared to DDR3, the new DRAM modules have ECC available for reliability, as well as industrial strength features from Innodisk such as 30µ” Gold Finger connectors, thermal sensors, and protective conformal coatings. 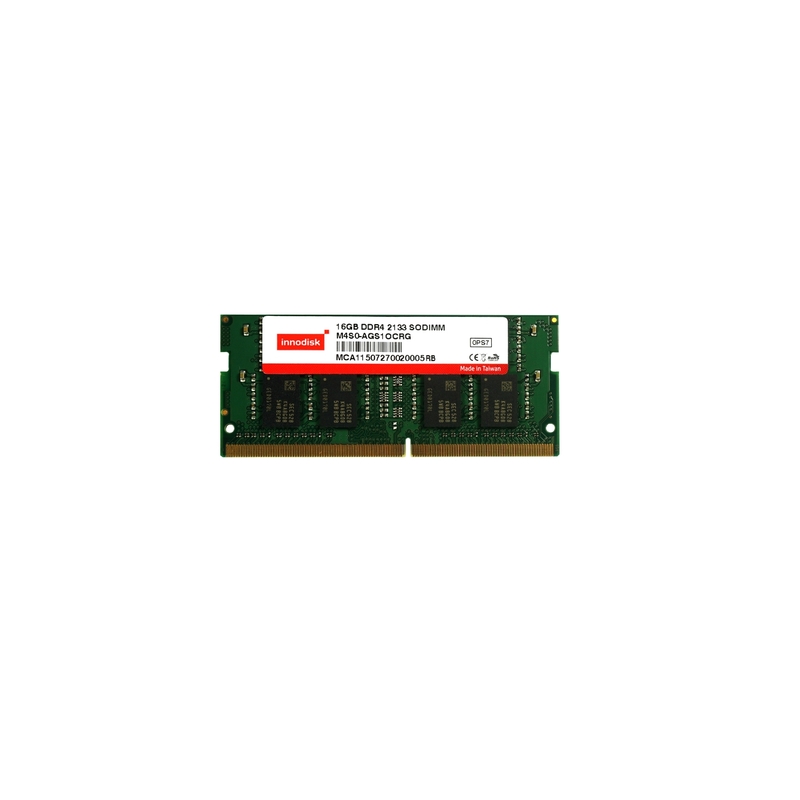 The new 16GB modules make Innodisk’s range of DDR4 products the most complete line of embedded and server DDR4 memory on the market. With up to 30% better performance with 20% lower power consumption compared to DDR3 memory, Innodisk’s unbuffered DDR4 modules and are a natural fit for the embedded industry. At 1.2V they use even less power than the 1.35V DDR3L Low Voltage standard. With the advent of the Intel Skylake platform, Innodisk’s 16GB DDR4 UDIMMs and SO-DIMMs will unlock higher performance for memory-constrained embedded and server applications. With enhanced error detection and handling capabilities including parity error detection and Cyclic Redundancy Check (CRC), DDR4 improves memory reliability. 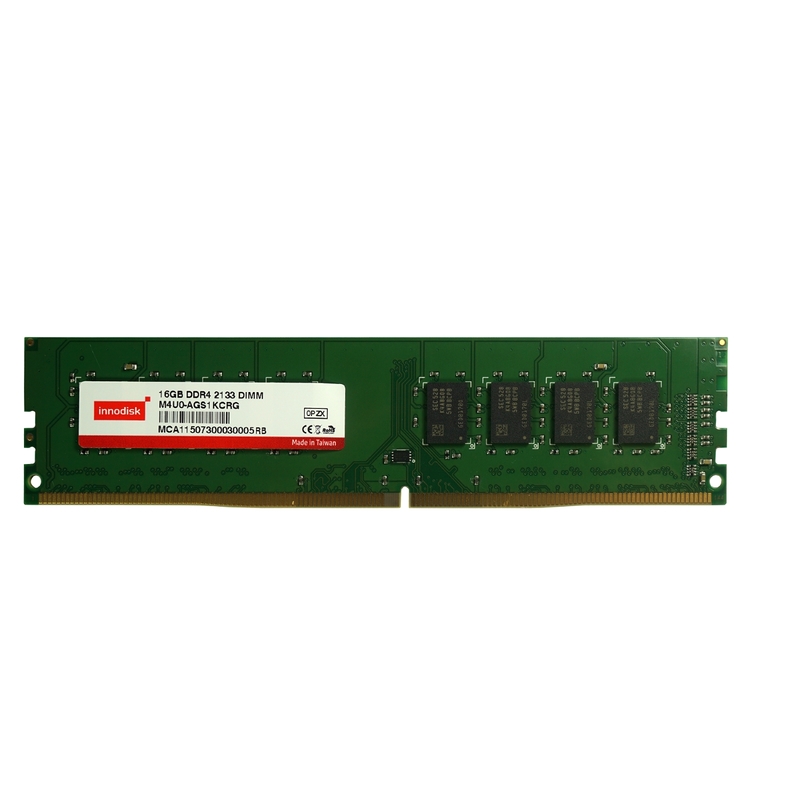 In addition, Innodisk’s 16GB DDR4 modules are infused with its industrial know-how, including robust connectors, thermal sensors, and conformal coatings. An extra proprietary 30µ” Golden Finger connector is 10 times thicker than the JEDEC standard, creating an extra-reliable interface. Thermal sensors on the module alert the system to temperature changes, preventing overheating. Protective conformal coatings are available to guard against a variety of physical and chemical contaminants. Innodisk is a service driven provider of flash and DRAM products for the industrial and enterprise applications. With satisfied customers across the embedded, aerospace and defense, cloud storage markets and more, we have set ourselves apart with a commitment to dependable products and unparalleled service. This has resulted in products including embedded peripherals designed to supplement existing industrial solutions and high IOPS flash arrays for industrial and enterprise applications. The expanded business lines are leading our next step in being a comprehensive solution and service provider in industrial storage industry.